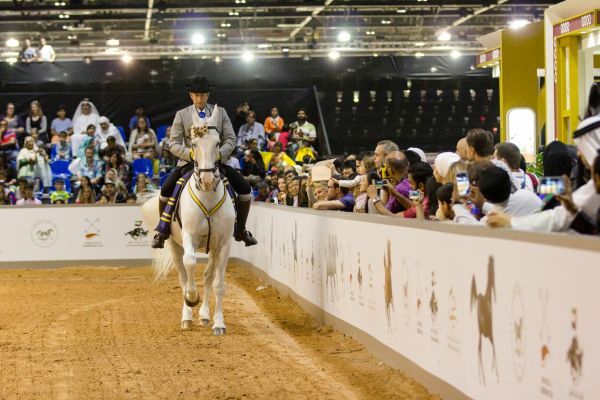 The 14th Dubai International Horse Fair, held alongside the 15th Dubai International Arabian Horse Championship, returns next month amid a booming global market for equine products, horse therapies and younger generations’ growing interest in horse riding. Taking place from 15 - 17 March 2018 at Dubai World Trade Centre, the event is held under the patronage of H.H. Sheikh Hamdan bin Rashid Al Maktoum, Deputy Ruler of Dubai and UAE Minister of Finance. With over 58 million horses and 784 horse breeds in the world, the USD 24.5 billion equine industry has cause for optimism with a growing interest from younger millennials and Generation Xers taking up horse riding, in addition to the influx of premium pet products and the growth of horse therapy, among other factors . Internationally and regionally renowned brands including stables, veterinary organisations, feeds, riding apparel & garments, art, décor & lifestyle, hunting, riding clubs will gather at this year’s fair to showcase products that will advance the health, welfare and performance of horses. More than 10,000 buyers, professionals, breeders and enthusiasts from over 25 countries in the equestrian industry will attend the Dubai International Horse Fair to widen their global networks with over 200 brands and companies. New countries exhibiting this year include Belguim, Austria, Pakistan, KSA, with stronger participation from Argentina, India, Australia, KSA, France, Germany, Ireland, Italy, Taiwan, Turkey and the United Kingdom, Sweden. Ziad Abdullah Galadari, Chairman, Higher Organising Committee of Dubai International Arabian Horse Championship, said: “The Middle East is globally-recognised as one of the most renowned equestrian hubs featuring world-class events that showcase the legendary grace, beauty, speed and power of horse breeds in an accessible, family-orientated environment. With USD 4 million (AED 15 million) offered as prize money, the 15th Dubai International Arabian Horse Championship will present majestic Arabian horses, worth an estimated USD1 million to USD2 million, to horse enthusiasts the world over. New international exhibitors bringing the cutting edge equipment to advance the equine and equestrian field include Barriers International, UK; Eguiguren, Argentina; Equiteam, Germany; Game Ready, USA; and Kerax Limited, UK. Leading international and local companies and brands exhibiting a range of products and services are: Al Awani General Enterprises, Al Hawajer Stud, Al Khail Equestrian/Hba Equipments, Equine Products UK, Gummiwerk Kraiburg Elastik GmbH and Jone-shou Industrial. Robin Seel, Director of Barriers International Ltd in the UK, commented on their debut participation at DIHF this year: “With our policy of continual research and investment in state of the art production equipment and information technology, we are excited to provide prospective customers with the very best products in PVC fencing, barrier systems and safety products for a variety of sports industries. With decades-long experience offering customers World-Wide including Europe, Asia, the UAE, Australia and the USA we look forward to showcasing our quality products especially suited to harsh climates as in the Middle East.” Systems designed by Barriers International have been in operation in the UAE following their introduction at Nad Al Sheba Racecourse in the early 1990s’. 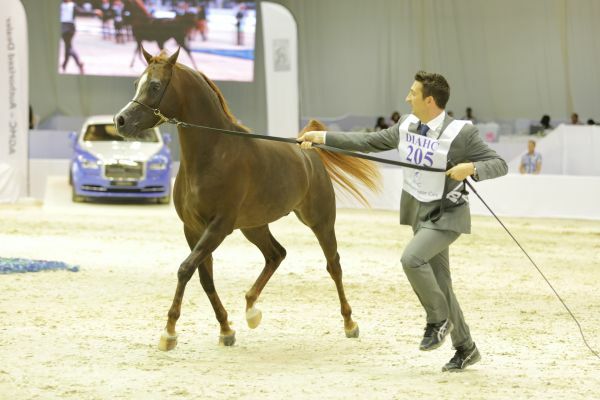 Other attractions at DIHF include the popular Horse Auction where Arabian purebred horses from local studs will be available for viewing, bidding and buying. Held on Saturday 17 of March at 11am onwards, the auction will have over 100 pureblood Arabian horse breeds on sale. Prospective buyers and members of the public can feel the thrill of a live auction with prices and stock to suit every budget. 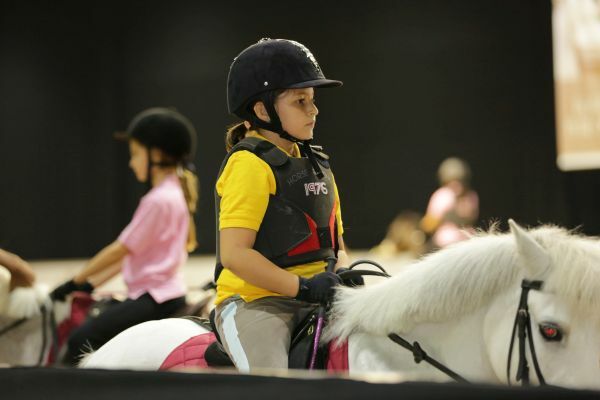 Adding to the excitement of the Dubai International Horse Fair is a line-up of family-friendly features that will delight young and old. 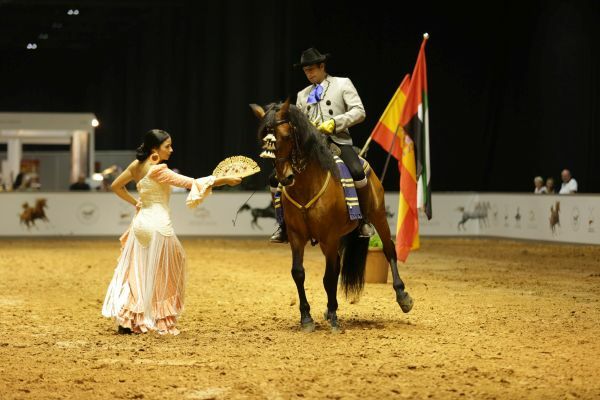 Pony show jumping, and Spanish horse performances will also feature at the show where horse aficionados and the general public can experience riders’ masterful routines. The hugely successful Art Gallery specialising in equestrian works will again gather established global artists under one roof where they will unveil their horse-inspired sculptures and paintings to art connoisseurs across the region. The Dubai International Horse Fair 2018 will be held in Za’abeel Halls 5 and 6 at Dubai World Trade Centre. Opening hours are 10am - 8pm on 15 March, 2pm – 8pm on 16 March and 11 am – 8 pm on 17 March. Admission is free of charge and open to trade visitors and the general public. Children under the age of 16 must be accompanied by an adult at all times. Pre-registration is now open at the show’s official website www.dihf.ae.